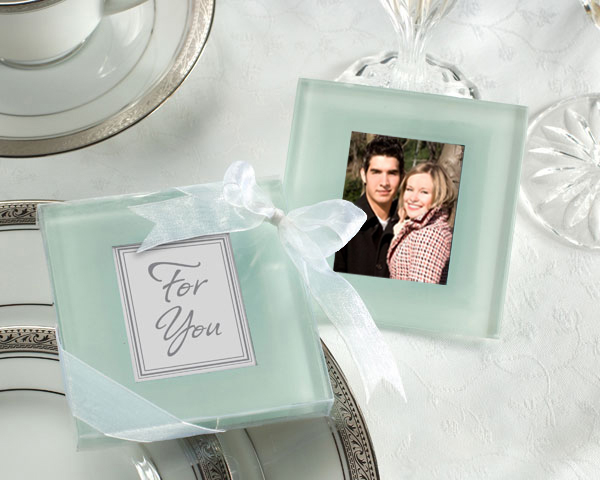 It isn't always easy to think of party favors for adults, but these glass photo coasters will appeal to just about everyone. 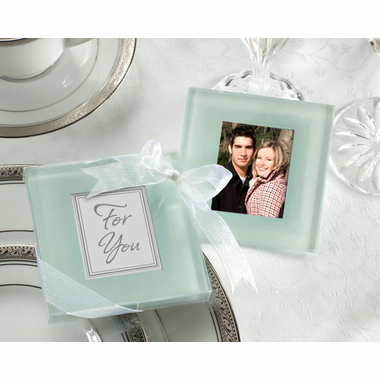 They not only display photos, but protect your furniture as well. Also, the subtle, teal blue color will fit in with everyone's decor.